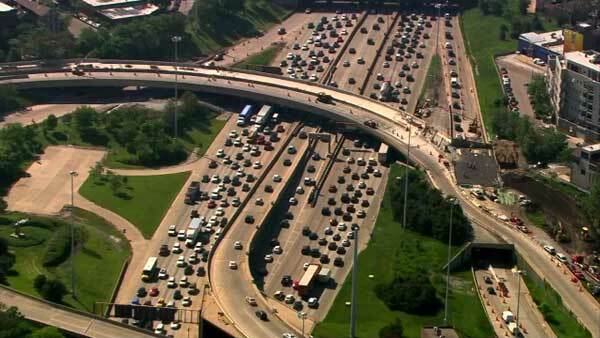 CHICAGO (WLS) -- The worst traffic bottleneck in the country is on the Kennedy Expressway between the Jane Byrne Interchange and the Edens Expressway. A study by the National Highway Users Alliance says the backup wastes 6.3 million gallons of fuel each year. It estimates drivers lose a total of almost 17 million hours sitting in gridlock. While Chicago had the worst bottleneck, Los Angeles had the most and claimed the next six spots.